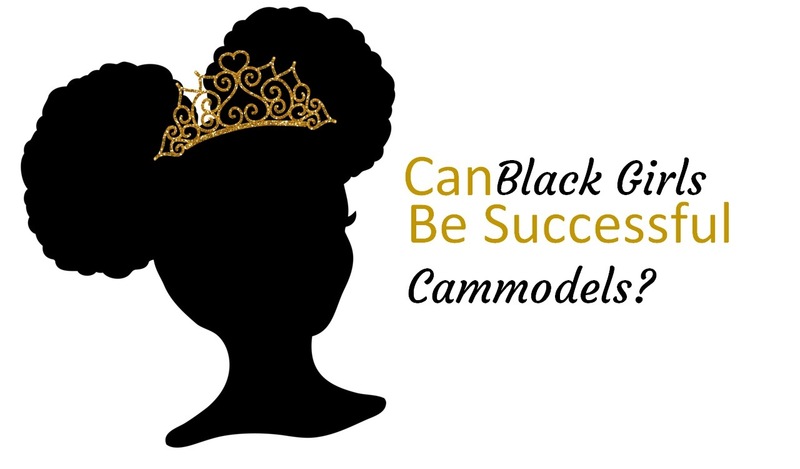 Can Black Girls Become Successful Cammodels? Common Fears And Misconceptions Regarding Race In Camland. A part from being a veteran in the adult industry, and a huge technophile with a penchant for goofy joke telling, I am also Black. If you follow my personal accounts on social media or have just simply looked to the left and saw my bio pic, then you’ve probably already noticed that last part. I am Black and I am a cammodel. And this is my attempt at creating a discussion regarding a very sensitive question that frequently finds it’s way into my dm’s across multiple platforms; Can Black Girls Become Successful Cammodels? These aren’t the only questions that I’ve gotten over time but its definitely one that resonates long after I’ve read the inquiries. And to be completely honest my response and approach to these questions have at times caused me to give answers that may appear somewhat flippant, while thinking I was promoting positivity to a person who most likely has experienced racism in their real lives. Because I’ve been in the adult industry for so long I sometimes forget that not everyone enters the game with the same bright eyed approach, indifference and just the right amount of naivety to become a successful cammodel. Sometimes there’s a well deserved level of hesitation based on life experiences that exist along side one’s choice to enter camland. This is a conversation that’s well overdue and something I will definitely revisit for a follow up post due to the complexity of the subject matter and maybe with time I’ll have more insight to share. I didn’t want to tackle this all on my own and wanted someone else to interact with. Therefore I reached out to one of my favorite cammodels, @KendiCumming to ask if she’d be willing to do an episode of the #ShitGuysSayToCamgirls podcast so that we could get into a deeper discussion, and she said yes! She’s so cool and I trust her perspective and authenticity so much that I felt that she’d be the perfect person to talk to. This particular podcast episode has a very natural flow to it and hits on several different points regarding race and becoming a successful cammodel. And I would sincerely like to point out that this blog post or topic isn’t explicitly meant just for ebony models. Because if you start to listen to our conversation anyone just might find themselves nodding their heads in agreement somewhat understanding the complexities of being a member of one of societies counter cultures. Camland may seem like it’s over saturated but the truth is there really aren’t that many of us when you consider that there are 7.5 Billion people in the world. There are so few of us cammodels in comparison that this automatically creates a small community of people who aren’t always accepted by the mainstream. And in that space people will realize that they share common interest as well as fears of rejection while trying to figure out how to make it in the adult industry. Kendi and I talked for over an hour during the podcast. We started out strong speaking on what it’s like to be a black cammodel and then somewhere along the way we kinda forgot all the talking points and just had fun. Symbolically I think this episode represents what it’s truly like becoming a successful cammodel; Because you may start out with a strict agenda, but once you let go and get into the moment is when all of the real magic happens. My DM’s Are Still Open BTW.